﻿ The Basics of a Baseline Hearing Test - North Shore Hearing P.C. Do you know what diabetes screening, cholesterol screening, blood pressure screening, and baseline hearing tests all have in common? All of these tests are designed to detect diseases before you ever recognize any of the symptoms. 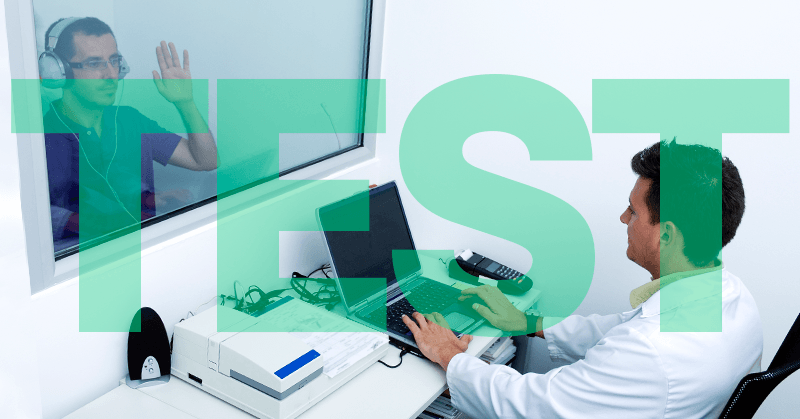 While baseline hearing tests are not as prevalent as some of the others, these tests are designed to uncover problems early and are just as important as any other screening test. Continue reading to learn more about why you should have a baseline hearing test today. Unfortunately, most adults received their last hearing test when they were in grade school. As a result, it's an excellent practice for adults over the age of 50 to have their hearing checked at least once a year. This exam becomes your baseline hearing test. A baseline hearing test is designed to find any hearing abnormalities as early as possible to simplify and expedite treatment. These tests can catch problems early and help you avoid bigger problems later on down the road. The baseline hearing test is vital in determining how well you hear at different pitches and frequencies. While most physicians recommend people 50 and older should have a hearing exam at least once a year, anyone with symptoms of hearing loss should go ahead and schedule the exam. Most recent studies suggest the sooner your hearing loss is detected and treated, the easier it will be for you to adapt to hearing the various sounds of life. On the other hand, undetected or undiagnosed hearing loss will make it more difficult for you to learn to hear again. Who Should Have a Baseline Hearing Test? It's best to have a baseline hearing test at least once in your adult life between the ages of 21 and 60. One of the most common components of a baseline hearing test is an audiogram, which shows the softest sounds an individual can hear at different frequencies or pitches. The pitches you are able to hear are vital for hearing and understanding conversation. Each sound you hear when someone speaks has a different loudness and pitch. After you have completed the audiogram, your test results will be plotted and your audiologist will review the results with you. If your audiogram shows you have suffered hearing loss, you will probably be required to take more tests. On the othe rhand, if your audiologists determines you do not have significant hearing loss, you will not need to be tested again unless your condition change. If your child's teacher says they should have their hearing checked. Does your family have history of hearing loss? How long have you suffered hearing loss? Do you have problems hearing in one or both ears? Do you ever have a ringing sensation in your ears. Are you exposed to loud noise on a daily basis? As a child, did you have regular ear infections? Do you have trouble with balance or dizziness? Do you ever have pain in your ears? Do you have a difficult time hearing the voices of children, women, or men? Do you have any problems staying with a conversation when environments are noisy. Your local audiologist may also ask you about all of the medications you are currently taking. It's important to be honest and list all of your over-the-counter and prescription medications because some of them may have an adverse effect on your hearing. You should also use this time to mention everything or anything you feel that relates to your hearing loss. After the survey, most baseline hearing tests will involve an audiogram. Regardless of which factors are present, hearing loss has been repeatedly linked to feelings of social isolation, anxiety, depression, frustration, fatigue, and even dementia. As a result, it's vital to establish a standard with the baseline hearing test. This data can be used in the future to determine the propensity of your hearing loss and used by professionals to arrive at the most effective solution. Contact North Shore Hearing today to schedule a baseline hearing test.